It's time for a new Pocket Books catalogue, this time giving us some new covers and blurbs for the end of year releases (all subject to change of course). The ''Titan'' blurb also gives us some new news on The Typhon Pact, it's going to be SIX parts! Blimey. The story behind the Earth-Romulan war continues: Now with nothing left to lose, the Romulan Star Empire is determined to stop the human menace from spreading across the galaxy—once and for all. Captain Jonathan Archer may go down in Federation history a hero, but he considers himself a failure. Right under his nose the Romulans attacked and destroyed a helpless human cargo ship, the Kobayshi Maru, and there was nothing Archer could do to stop the loss of every member of the crew, and the ship itself. The captain knows that the Romulans are done testing the waters, and they have perfected a way of remotely controlling Coalition ships and using them as weapons against each other, thus succeeding in driving a wedge of suspicion between these new allies. The Romulans now are going to strike at what they see as the heart of their problem, Earth. Can the fragile Coalition of Planets survive an all-out war? In the aftermath of Destiny, the second novel in the Voyager series that takes original characters—and all new ones—into the Star Trek universe. The Borg, the greatest menace to humanity, were absorbed into the Caeliar gestalt, with one exception: Seven of Nine. Trapped in an existence neither drone nor human, Seven agrees that the mystery of the Caeliar’s disappearance must be solved. She joins the former captain of Voyager to see if they can rendezvous with the ships that Starfleet Command has sent into the Delta Quadrant. But these are not the friendly stars of the Federation, and out here the unknown and the unexpected cannot be dealt with standard Starfleet protocols. 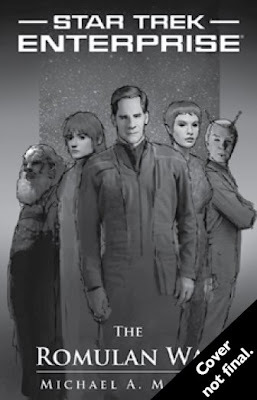 The sixth astonishing novel in the bestselling Star Trek: Titan series delivers another mind-bending adventure as the anticipation builds toward 2010’s six-part Star Trek novel event, The Typhon Pact. 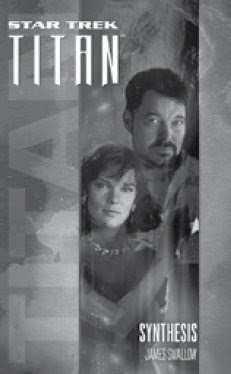 Now a new father, Captain Riker leads the starship Titan toward contact with a civilization made up of artificial intelligences—sentient computers who have surrounded a vast gasgiant planet, serving as the first line of defense against an ominous threat that the crew can scarcely comprehend. The AIs’ long and turbulent history has given them deeply routed distrust of organics...leading to an unexpected act that radically transforms the dynamic between the ship and its crew. The fifth Vanguard novel raises the stakes for all those embroiled in the mystery of the Taurus Reach, with the disgraced Diego Reyes finding unexpected allies among the enemies he so recently fought against. HBO’s Rome meets Star Trek in this riveting novel from the dark side of the Mirror Universe. Intrigued by the concept of a federation that helps rather than oppresses its citizen, Spock becomes emperor by taking control of the Terran Empire through mass murder. 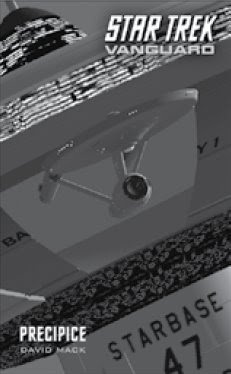 The Vulcan can validate his actions by reasoning that the means justifies the ends, a galaxy rule by law not brutality. Emperor Spock puts into motion a plan that will bring down the Terran Empire. But in a world built on treachery and deception, can a Vulcan trust anyone, including the woman who says she loves him? And has he fallen prey to the human sin of hubris by miscalculating the harsher forces wielded by the Klingon and the Cardassians, who could enslave the Terran Empire forever?